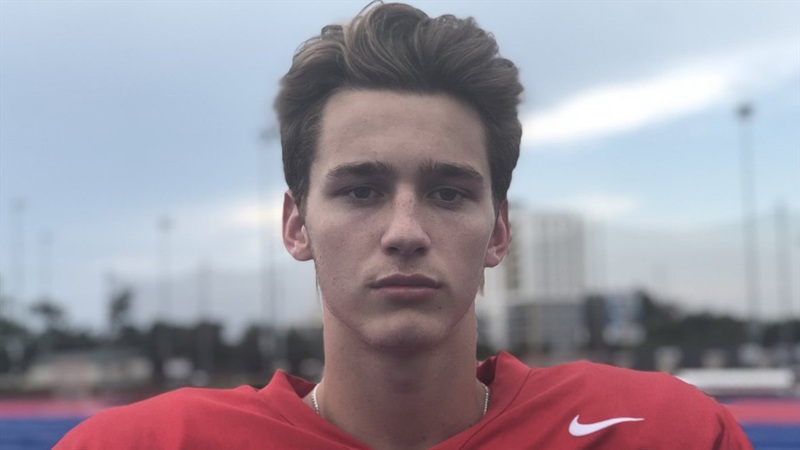 2021 Parish Episcopal (Texas) quarterback Preston Stone‍ took the state by storm as a freshman by throwing for 2,937 yards and 29 touchdowns last fall. The big season caught the eye of 36 programs who have offered the 6-foot-2, 185-pounder a scholarship, but Stone followed it up with a big 2018. Stone threw for 3,531 yards, 44 touchdowns and just six interceptions while completing 62% of his passes this fall as he dealt with much more attention from opposing teams. It’s a blessing for any prospect to hold offers from the likes of Alabama, Auburn, Florida, Georgia, LSU, Michigan, Notre Dame, Ohio State, Penn State, Texas, Texas A&M and Washington State, but with that comes the pressure Stone referenced. Fans, coaches, and the opponent expect big performances and highlights every game. Stone felt the added pressure this fall but also realized he was the same person he was last year. Notre Dame has offered two quarterbacks in the 2021 class and Stone is one of them. The Irish have made two stops at Parish Episcopal, including one last week. “Coach (Tom) Rees came by in the spring,” Stone said. “I spoke with him in the spring, and he was a great guy. Coach (Autry) Denson came by last week. He mentioned they don’t have to play in a conference championship because they are independent and I thought that was cool. Stone is definitely aware of the 12-0 season and admitted winning games is important as he wants to play for a winning program. When it comes to visits, Stone wants to get to South Bend to check out the Irish and will likely set a visit schedule in the coming weeks. When Stone does make the trip to South Bend, he’ll likely see a familiar face in defensive end NaNa Osafo-Mensah‍. Parish Episcopal topped Nolan Catholic 27-14 in the State Playoffs, and Stone threw for 310 yards and scored a total of four touchdowns.